Last week was fun! We got to make a video and play quarters and our picks went 3-2. Always good to have a winning week. I hope you enjoyed my video experiment; I see it as the groundwork for greater things to come. I am a multimedia gambler. Pretty soon I’ll have a gambling podcast and a gambling vlog and maybe go throwback and make a gambling xanga page. I am toying with my craft, and I am better because of it. But this week we are back to writing. And there’s sort of a gimmick, but it won’t make sense until we take a look at the matchups. 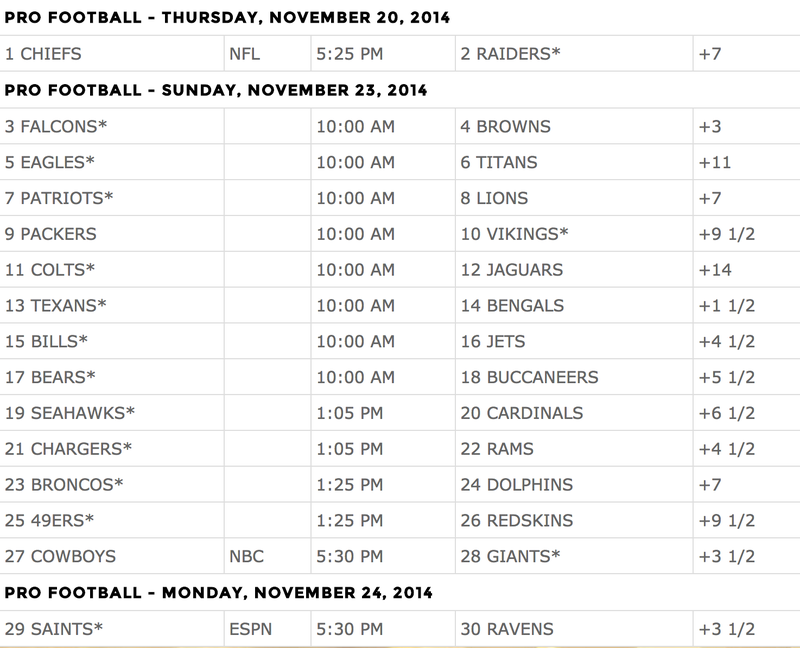 Here is the Week 12 slate, home teams get the asterisk. Notice anything? Is there something about this week’s lines that jumps off the page and into your soul? What I am trying to say is OH MY LOOK AT ALL OF THOSE POINTS. If a hypothetical gambler were to take the five longest underdogs currently on the board, he or she would be getting a whopping total of 51 extra points. That feels super high. For comparison, the five longest dogs last week only fetched 40 extra points for a degenerate hip to the points. 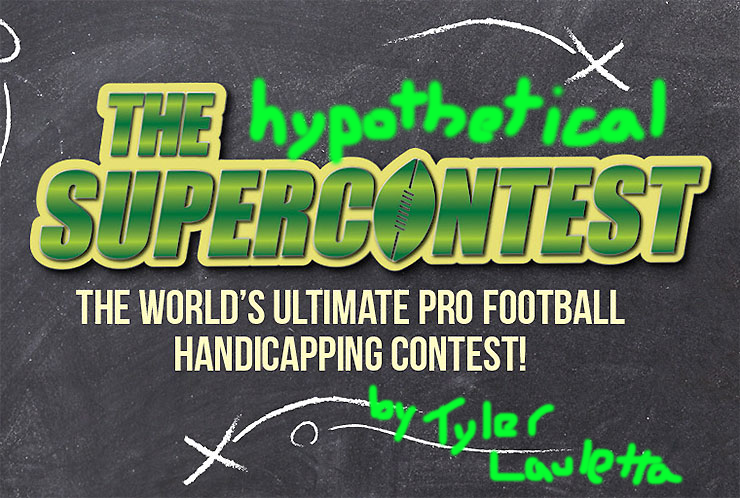 If you’ve been with the Hypothetical SuperContest for a while, you know that I am hip to the points. Getting points is the best. Football is crazy because anything can happen on any given Sunday; there is enough parity in the league that every team is beatable (except maybe the Patriots right now). When you combine the fact that anyone can beat anyone with ALL OF THOSE POINTS, it makes for a delightful gambling excursion. This week, we are taking ALL OF THE POINTS. Hashtag blessed indeed! Derek Carr was probably the happiest man on the planet Thursday. After ten failed attempts, my season-long crush finally claimed his first victory playing professional football. Post-game he thanked God and said with pride that he planned to give the game ball to his son. I teared up a little bit. I’m so proud of you. Off to a 1-0 start! Here are the rest of our big dogs this week. We’re taking them all, even though I am attending the Eagles game tomorrow and will be wholeheartedly cheering for them to beat the snot out of the Titans. See you next week with more picks.